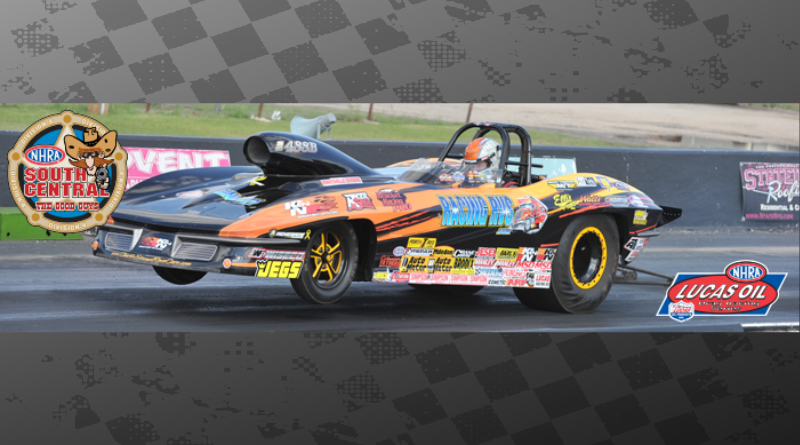 ENNIS, Texas – The NHRA South Central Division Lucas Oil Drag Racing Series Double-Header weekend takes place at Texas Motorplex, April 4-7. The double-header is two of six events in the NHRA South Central division and of the 44 Lucas Oil Drag Racing Series events scheduled across the country where drivers earn points leading to divisional, regional and national championships, as well as a chance at a share of the year-end purse of more than $519,000. Categories include Top Alcohol Dragster, Top Alcohol Funny Car, Comp Eliminator, Super Stock, Stock Eliminator, Super Comp, Super Gas and Super Street. The division’s SDPC Raceshop Top Sportsman and Top Dragster and NHRA Sportsman Motorcycle Series are also in competition. Gates at Texas Motorplex open at 7 a.m. every day. The first race on the double-header starts with qualifying and time trials Thursday at 8 a.m. Top Sportsman, Top Dragster and Comp Eliminator qualify at 10:30 a.m. and 5 p.m. Eliminations begin Thursday afternoon and continue Friday at 8 a.m. The second race in the double-header starts on Saturday with qualifying and time trials at 8 a.m. Top Sportsman, Top Dragster and Comp Eliminator qualifying at 1:15 and 5 p.m. Eliminations begin Saturday evening and continue at 8 a.m. on Sunday. Saturday will be highlighted with the NHRA Moser Sportsman Shootout with racers from seven different classes battling it out for a posted purse of $15,000. The S&H Car Show classic and a BBQ Cookoff will also be running in conjunction with the event. Top Alcohol Dragster and Top Alcohol Funny Car run a single event with qualify on Thursday at 7 p.m. and Friday at 4:30 and 6:30 p.m. All three rounds of Eliminations are set for Saturday afternoon beginning at 1 p.m.
Tickets for Texas Motorplex are $25 per day or $100 for the full event. Children 12 and under are free with a paid adult. You can watch all the action live online with dragracer.tv. Click below for the link to each days live stream.